A Day to Celebrate Dad and still Keep Skinny! Wow! Carbs, Sugar…what’s a skinny girl to do? For me the best part is watching my dad, brother and hubby enjoy the food! 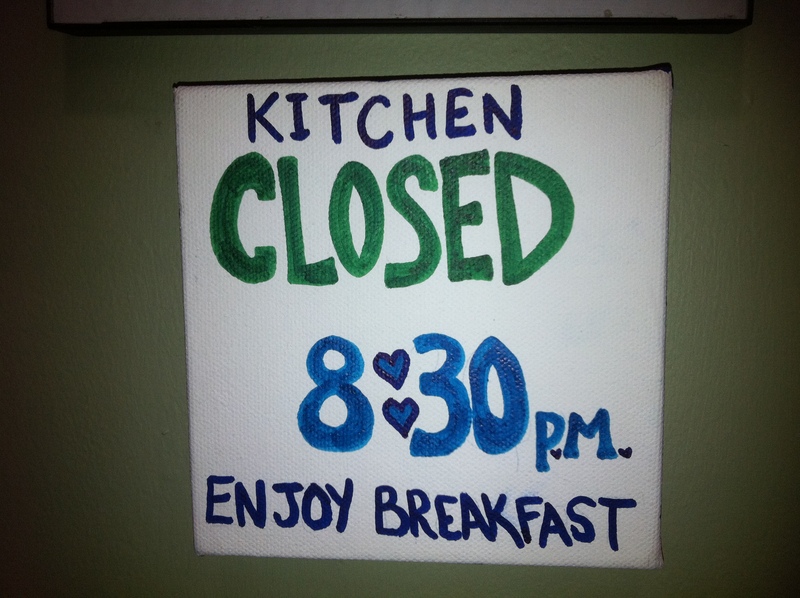 Simple solution…my kitchen closes at 8:30pm! 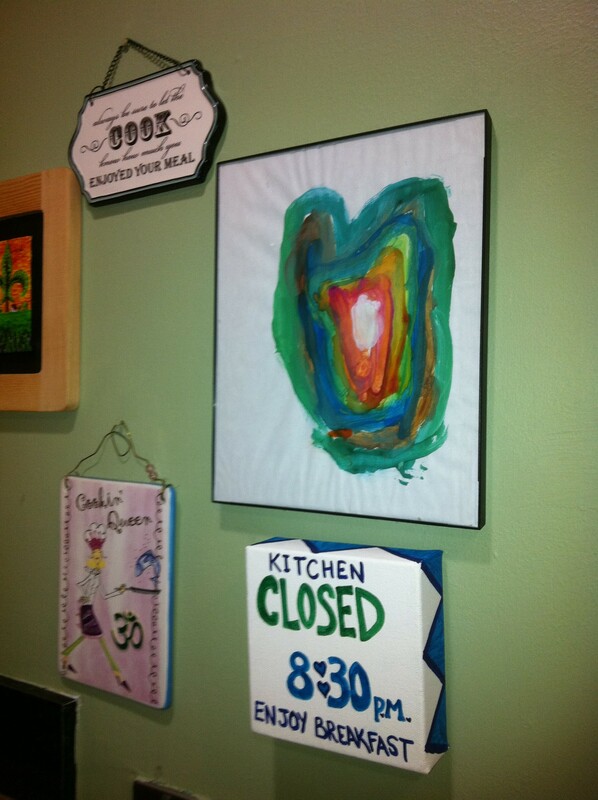 I even painted a cute little sign that says so! I am sure there is an easy solution to each of our food related issues!!! Let’s figure it out…let’s eat well, live long and keep skinny so we can celebrate many more holidays to come! ← Motivating to Keep Skinny!